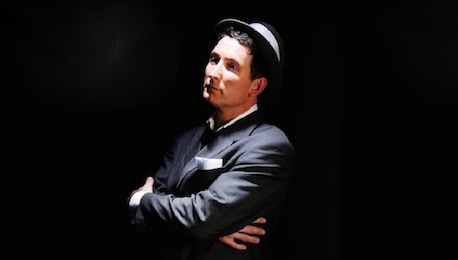 Hire a Frank Sinatra tribute from UK Live Entertainment, and you can be sure that you will be hiring a professional and experienced tribute artist. Every Frank Sinatra tribute we support has been tried and tested and has a well-proven track record for delivering quality entertainment and professionalism both on and off stage. Enjoy browsing our roster of Frank Sinatra tribute shows. Hire a Frank Sinatra tribute from UK Live Entertainment, the UK's most trusted, reliable and experienced tribute agency, and general entertainment booking service! When you choose an act from our extensive roster of professional bands and acts, you can be certain that you are choosing from a hand selected and exclusive choice of the best entertainers! We have chosen the finest selection of Frank Sinatra impersonators for you to choose from, saving you the trouble of searching the Internet and sifting through the acts yourself. All of our brilliant acts and band are all experienced and professional entertainers and are guaranteed to provide excellent quality entertainment. Whether you are presenting a festival, a theatre show or a garden party, or if you are looking for the right act for your wedding reception entertainment, we can suggest a choice of acts for you to review, and they will all be of the highest quality and will present a thoroughly professional tribute show performance. Some of our acts can present their shows with their own live bands and others can perform with pre-recorded, professional backing tracks. All of our acts sing the lead Frank Sinatra vocals 100% live. All of our tributes can provide their own P.A. sound and lighting equipment if required, their systems will usually be suitable for average sized venues, if the venue is large, then additional equipment can always be hired in for the event at a small additional charge. Our Frank Sinatra tributes have performed extensively at all types of venues and events, both indoors and outdoors, and for very large audiences, too much smaller and more intimate ones as well. No matter where they perform, or the size of the venue, you can rest assured that they will always d present a dazzling show performance and will thoroughly entertain everyone. And so many more fabulous songs originated by ‘ole Blue Eyes himself. If you would like your Frank Sinatra tribute to perform a particular favourite, just let us know before the performance date. Most requests can usually be accommodated. Frank Sinatra was the professional stage name of Francis Albert Sinatra who was born Dec 12, 1915. Frank was born in Hoboken in New Jersey, USA; both of his parents were Italian immigrants. Frank Sinatra was an American singer, producer, actor and entertainer and is regarded as one of America’s most influential and popular music artists of all time. Notably regarded as one of the best-selling music recording and performing artists of all time. Frank was fortunate enough to begin his career in the fabulous era of Swing and was discovered and successfully signed to Columbia Records in 1943 at the age of 28. Whilst Frank was never able to actually read music or musical scores, he possessed a natural understanding of music from a performers viewpoint and was able to interpret the nuance of a musical score and worked hard to make each song his own. Frank recorded and releasing his debut album in 1946, The Voice of Frank Sinatra, under the Columbia Records label, however after initial success, his career stalled in the early part of the 1950s and Frank ventured to Las Vegas where he carved a name for himself as a part of The Rat Pack with Dean Martin and Sammy Davis Jnr. The Rat Pack was a hugely successful brand for all three artists. Frank’s career was revived in 1953 with the successful acting role in the film From Here To Eternity, he was recognised for his role in the film the Academy Awards bestowed the award of Best Supporting Actor on him for his performance. After a not-to-successful period recording with Capitol Records, Frank formed his own record label Reprise Records in 1960 and thereafter recorded and released a succession of highly successful albums. 1965 was a brilliant year for Frank, he recorded the hit song “September of My Years” and went on to produce the TV special “Frank Sinatra: A Man and His Music”, which won an Emmy Award and achieved two great hit songs with the eternal “My Way” and the equally as significant “Strangers In The Night”. He went on to record a live album at the Sands Hotel and Casino in Las Vegas, titled “Sinatra at the Sands”. In 1967 he recorded and produced the album “Francis Albert Sinatra & Antonio Carlos Jobim” with Tom Jobim, the album was very successful for the pair. In 1968 Frank collaborated and recorded with the legendary bandleader Duke Ellington. Frank decided to retire from all recording and performing activities in 1971 but re-emerged two years later in 1971, he recorded several successful albums and performed again in Las Vegas at Cesar’s Palace. 1980 was a significant year for Frank who achieved a Top 40 with the theme song to the film “New York New York” which is now regarded as one of his best known and most frequently played songs worldwide. As an actor, Sinatra enjoyed considerable success and won an Academy Award for his acting role in From Here To Eternity, he went on to attract rave reviews and acclaim for his roles in both The Man With The Golden Armin 1955 and The Manchurian Candidate released in 1962. Various musicals were added to his long list of film successes including Guys and Dolls, High Society, On the Town and Pal Joey, all recorded between 1949 and 1957. Toward the end of his career, he attracted several film roles playing police and private detectives notably, the title character role in Tony Rome, which was released in 1967. ABC commissioned him to produce The Frank Sinatra Show for their TV channel in 1950 and that led to a continual succession of television appearances right the way through the 1950s and 1960s. Known affectionately by his fans and colleagues as “Ol’ Blue Eyes” on account of his deep blue eyes, Frank was well liked for his work ethic, professionalism and dedication to exacting standards. He was a perfectionist and insisted on the very highest of standards. He chose his teams wisely, and those around him earned the same fine reputation by their association. He received 11 Grammy Awards during his career, including the Grammy Lifetime Achievement Award, and was greatly honoured by President Ronald Regan in 1985, which awarded him with the Presidential Medal of Freedom and further awarded him in 1997, with the Congressional Gold Medal. Frank continued to perform all around the world and used Las Vegas as his home base right up until his death in 1998. Frank Sinatra, the greatest singer in American music history! Please browse our selection of professional tribute acts and bands and ask any questions you may have via the instant Chat facility (bottom right), or you may prefer to give us a quick call for a chat about your party, venue or event. Hire the Frank Sinatra Tribute of your choice today from UK Live Entertainment!